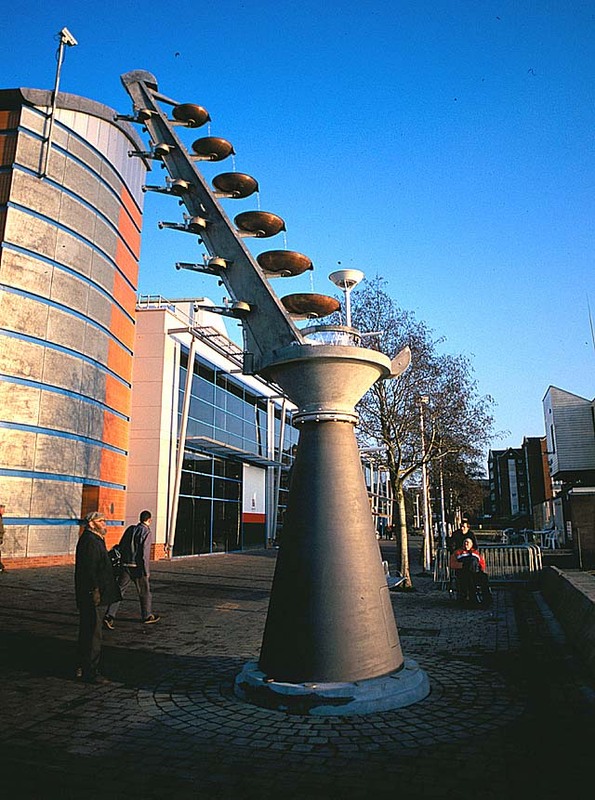 The sculpture is sited in the centre of Lincoln, next to the Brayford Pool. A 26’ high rotating water clock, that chimes on the hour. The whole of the top section rotates once an hour, like the minute hand of the clock. Water flows constantly down the copper bowls and as the hour is reached the bowls are released which in turn tips the arms and chimes the bells. 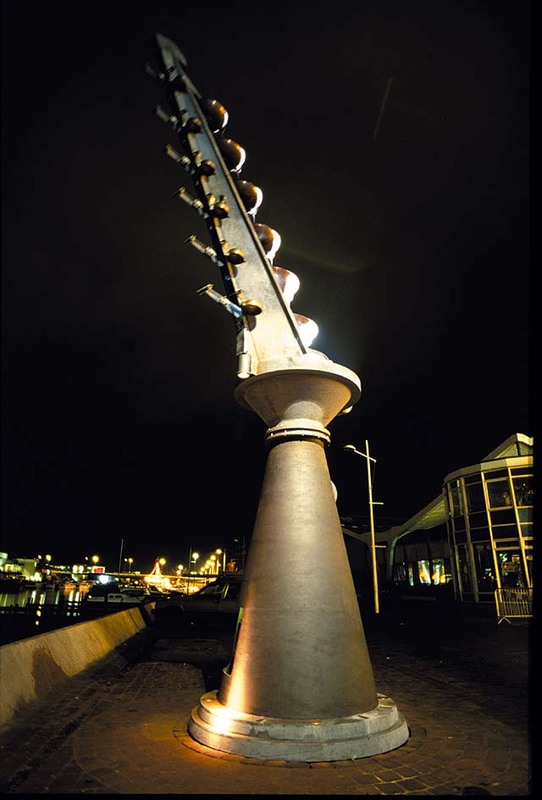 At night a light beam shines down to the base showing the time.